Not Just History…Black History. 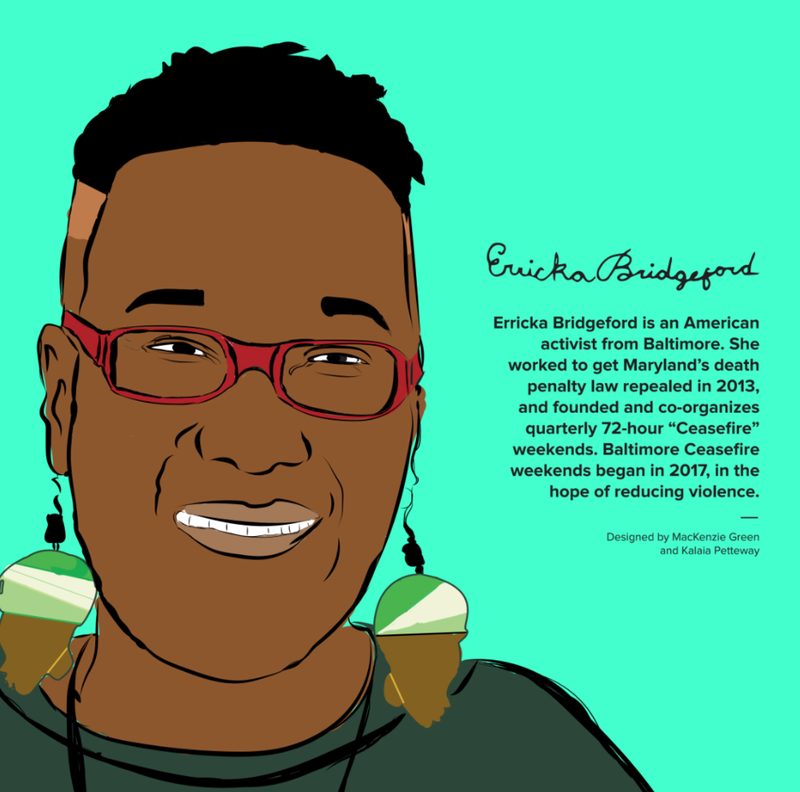 Wide Angle Youth Media’s Design Team embarked on a project to commemorate Black History Month by celebrating the life’s work of African American influencers right here in Baltimore. The people featured in our calendar have all made positive impacts in the areas of art, activism, entrepreneurship, science and technology and education. Student designers used photos of their models as inspiration, then added their own artistic spin to create each final portrait. Proceeds from this calendar will provide seed funding for future print projects that will be for sale. Student designers learn entrepreneurship and are paid for the use of their images in final projects. They also receive a stipend for the time they dedicate to completing their work in class.